Roland de Wolfe is one of the fastest rising poker stars in the industry. 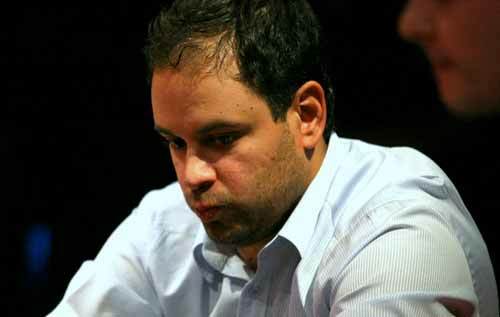 In just a few short years, he has amassed a sizeable pot of tournament winnings totalling $5.3 million. Considering the family he grew up in, it may have been in the cards all along. Starting life in the poker industry as a journalist for Poker Magazine Inside Edge, he soon found he was more talented playing on the felt that reporting on other peoples success at the tables. Since he made that decision he has never turned back. De Wolfe was born in 1979 in London England to a family that was intensely involved in gambling. Roland himself started wagering at a very young age. He started playing cards, usually five card draw, with his class mates. He took to gambling aboard the school bus. By the time he was fourteen, he was betting on tennis with friends. As soon as he could get in the doors, de Wolfe learned to play pool for money. What is more, he became quite the hustler at pool and snooker. Sometimes, he even played with one hand to entice players to bet with him. When he got older, he decided to settle down and take a journalism course at Brighton. This gave him an opportunity to put what he knew about gambling to good use. He took a job writing for Inside Edge, a magazine in Great Britain. The magazine covered the gambling industry, and it was de Wolfe’s job to write about poker tournaments. As Roland de Wolfe travelled the world reporting on the big money poker tournaments, he became more and more interested in the game. He was a poker insider in many ways. He knew things about the game and its players that the average person would not get. He decided it was time to make his move. He began studying and learning about poker on a personal level. His first attempts playing cash games at the Victoria Casino in London were not promising. Neither were his friendly games with his boss at the magazine. However, he decided to go on the internet to practice his skills. As it turned out, de Wolfe played much better in tournaments. His aggressive style was better suited to that environment. He started entering the big tournaments in 2004. Yet, he did not have any significant wins in that year. In 2005, though, he walked away with the World Poker Tour Grand Prix de Paris main event title. The cash was over $500,000. Also that year, he cashed in two other major events. One was the $1,000 No Limit Hold ‘em event at the World Series of Poker. The other was the $15,000 main event at the World Poker Tour Five Diamond World Poker Classic. The year of 2006 was a great year for Roland de Wolfe. The highlight of the year was his third place finish at the $25,000 WPT World Championship at the Bellagio. He took home over $1 million. He was also named UK player of the year in 2006. De Wolfe won the European Poker Tour’s Season 3 Dublin championship for a cash of over $600,000. With that, he became the first pro to win both WPT and EPT titles. Roland de Wolfe’s winning ways do not seem to be leaving him any time soon. In 2009 he added the missing title to his trophy cabinet when he won a World Series of Poker bracelet in the $5,000 Pot Limit Omaha Hi Lo event and a cash of $246,616. Roland now has all the major titles, WSOP, WPT and EPT under his belt. Roland success brought him a lot of attention. 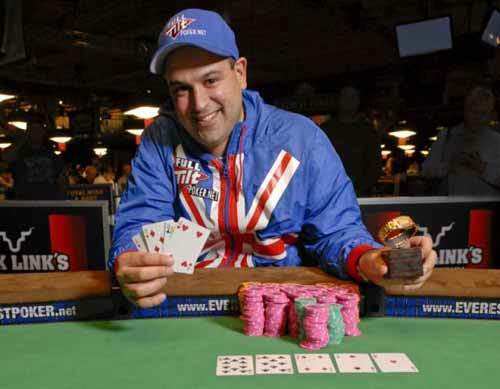 He appeared on TV regularly across a number of different poker TV shows and formats. 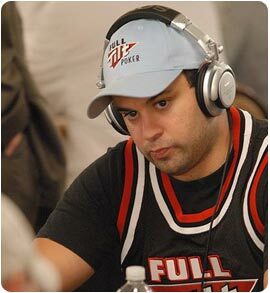 This attention also brought him sponsorship from Full Tilt Poker where he was a member of Team Full Tilt. De Wolfe is no longer sponsored by Full Tilt Poker, but he still plays online at the Full Tilt tables, where you can watch and chat with him or even sit down at his table and play against him. Want to Chat and Play Poker with Roland de Wolfe?